There is a myth that Einstein's discovery of general relativity was due to his following beautiful mathematics to discover new insights about nature. I argue that this is an incorrect reading of the history and that what Einstein did was to follow physical insights which arose from asking that the story we tell of how nature works be coherent. No, he just switches from one incorrect myth to another. Some people point to the shift in Mercury’s perihelion as a case of an anomaly that general relativity explained. The problem with this is that virtually nobody except Einstein thought this phenomena needed a new theory to explain it. The bulk of astronomical opinion was that this shift could be accounted for either by a new planet or by more precise calculations of the way the planets’ gravitational fields perturb each others orbits. What should have been clear to anyone who followed physics was that Newton’s gravitational theory required revision in the light of special relativity. But why not introduce a field theory for gravity within the framework of special relativity? Most of this is false. Einstein did not even believe in an expanding universe until around 1932, when Hubble convinced him of the evidence. The possibility of black holes, where a star has collapsed to the point where gravity is too strong for light to escape, had been published a century earlier. Einstein rejected the concept, even after others showed that they were possible in GR. Einstein did predict light bending, and that the amount should be greater than the Newtonian prediction. However some bending was expected in the Newtonian theory, as a result of light having inertia. Einstein proposed gravitational lensing many years later, but that is just a consequence of bending light, and we would have it with or without GR. Einstein also rejected gravitational waves and dark energy, even after advocated by others. The theoretical cause for belief in dark energy comes from quantum mechanics, not GR. The GR physicists only embraced it after astronomical evidence was found in 1998. Poincare was the leading mathematical physicists of the day in 1905 when he published a relativistic theory of gravity and explained why such a theory was necessary. He also proposed using it to explain gravity waves. A couple of years later, he proposed using it to explain the anomaly in Mercury's orbit. It is not true that this was Einstein's original idea; he got it directly from Poincare. \such as Marcel Grossman [Grossmann] to explain to him the mathematics on which general relativity is based. And he depended on other friends, such as Michael Besso, to find the correct interpretation of the mathematics. Indeed, contemporaries noted that there were many colleagues who were much better at mathematics, such as John von Neumann. Unlike Newton, Einstein did not invent any of the mathematics he used to express his new theories. General relativity employs mathematics that was advanced for the timethe mathematics of curved surfaces and general geometries which had been developed by mathematicians in the second half of the 19th Century. 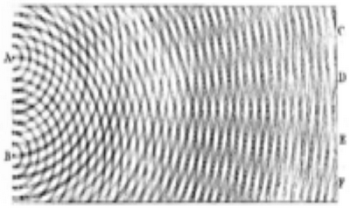 Einstein was the first physicist to use this new approach to geometry to describe physical systems. But he followed the tuition [intuition?] of Marcel Grossman [Grossmann] in learning and applying the mathematics. Indeed, Einstein was not very good at using this new mathematics. Once he had written down and published the equations of general relativity, solutions which describe simple examples were quickly found. These describe very symmetric situations such as spherically symmetric stars and homogeneous, expanding universes. To derive these solutions are now homework exercises in undergraduate courses in general relativity. But Einstein didn’t find any of these simple solutions, indeed there is no evidence he even looked for them. They were found by others within weeks of his papers being published. If Einstein did not do the math, what did he do? The essence of GR is to reconcile gravity with special relativity. It was primarily a mathematical problem, and Einstein was lucky to have mathematician friends (Grossmann, Levi-Civita, Hilbert) who understood the necessary tools. SR uses a flat spacetime metric, and works great as long as everything is linear. As soon as you have an accelerating frame of reference, then some nonlinearities become puzzle. A covariant theory based on a curved spacetime metric is needed. Grossmann figured out that the key condition for a pure gravitational field is that the Ricci tensor is zero. Einstein deduced the starlight deflection, Mercury precession, and Doppler red-shift. He also deduced the gravitational slowing of clocks, but that was based on SR, in 1907. The Mercury precession was the only one that really used the nonlinear curviture of GR. Why did Einstein weave a myth around his creation of general relativity? What was his motive for telling a fable about the role of mathematical beauty in his creation of general relativity? The reason may be that he was making propaganda to promote interest in work he was doing to follow up on general relativity. This was aimed to go beyond general relativity to a theory he hoped would be his masterpiece, a unified theory of all phenomena, incorporating not just gravity but also electromagnetism. He called this the unified field theory. Einstein weaved a myth about everything he did. No need to explain much. His famous GR paper did not cite any sources or credit any of his collaborators. His previous famous papers did the same thing. All of this would only be of interest to historians, except that theoretical physicists and philosophers are always looking to Einstein and the relativity story as justification for how things ought to be done. 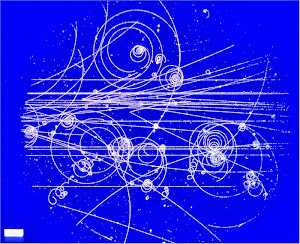 Smolin is a big believer in quantum gravity, and argues that string theory is the wrong approach. Leonard Susskind and Juan Maldacena have applied the holographic principle to string theory, where it turned out to be extremely illuminating. It has other applications beyond string theory which suggest it is a truly general principle. Unfortunately, these so far do not apply to our world, because they require the dark energy be negative when, in nature, it is positive. Still, this is one of the very best idea [ideas] we have so far and it shows we can get further if we start with insights and principles, as ’t Hooft did. My sense is that the hAs [???] so far stated, the holographic principle fails to have the direct physical content of the principles of relativity and equivalence. It cannot be expressed or tested in a single experiment. We also so far lack a formulation of the holographic principle which is consistent with the principle of background independence that grounds general relativity. His notion of background independence is not really testable either. I am not sure the concept even makes sense, as the GR equations have solutions that are not physically realizable. Why all the Einstein hate? Did you ever stop to think that Grossmann, Levi-Civita, and Hilbert were lucky to have Einstein as a friend? How do you know background independence is not testable? Einstein is in the news every day, although he wasn't the most important figure in physics. He was late to the game, didn't cite his work and lost to Bohr. He gave current physics its holy grail pathology. Maybe they were lucky. The haters are the ones who deny them credit for what they did. Background independence seems like more of a philosophical position to me. The people who think that it is so important should propose a physical test so it will be clear what they mean. I made a funny video on Witten and Smolin here.